Despite their negative stigma, eggs are harshly misunderstood in terms of their health benefits. Known for their protein and excellent nutritional value, eggs are one of the most popular animal products on the market. But when talking about eggs, cholesterol is almost always associated in conversations of their health woes. Despite their negative stigma, eggs are harshly misunderstood in terms of their health benefits. Cholesterol aside, egg yolks are an extremely nutrient-dense food source. 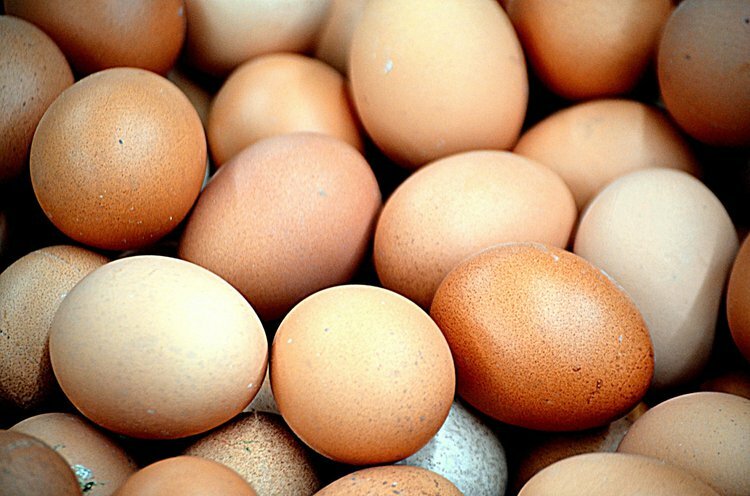 Compared to egg whites, which are primarily composed of water and protein, egg yolks comprise 90% of the essential nutrients of the egg, such as calcium, phosphorus, zinc, iron, thiamine, folate, vitamins B6 and B12, and pantothenic acid. They also contain omega-3 fatty acids and fat-soluble components, like vitamin A, D, and E. Egg yolks also contain choline, a crucial nutrient for brain and cardiovascular function. It has been proven that increased intake of choline in the diet decreases inflammation, as well as decreases risk for heart disease, diabetes and Alzheimer’s disease. Egg yolks also contain special antioxidants lutein and zeaxanthin, known for filtering damaging light wavelengths in the eyes, consequently decreasing the risk for macular degeneration. Each large egg includes 185 mg of cholesterol. The American Heart Association advises that 300 mg of cholesterol intake should be the limit per day. Thus, eating two eggs per day would significantly exceed the cholesterol intake limit. In a study conducted in 2006 at the University of Connecticut, it was proven that modest egg consumption, such as one egg a day, did not cause an increased risk for heart disease in healthy individuals. In a controlled trial conducted in 2013 at the University of Connecticut, participants were told to eat up to 3 eggs a day, whilst on a diet plan that focused on weight loss. The trial exhibited that participants experienced weight loss and less inflammation. Moreover, these individuals either sustained their current blood cholesterol level or the levels improved. Each day, your body makes between 1 and 2 grams of cholesterol. In other words, this equates to about 5-10 times the cholesterol content of one egg. When more cholesterol (in the diet) is consumed each day, the body makes less cholesterol on its own. The same holds true in reverse as well - as you consume less dietary cholesterol each day, your body will automatically produce more of it. This has been referred to as one of the body’s thermostat mechanisms in which it can regulate and control itself. Surprisingly, cholesterol is one of the most essential nutrients in the body. It is present in the outer layers of every cell membrane, and is essential for the production of various hormones, as well as necessary for growth in both infants and adults. For those individuals who have trouble regulating their total cholesterol and LDL cholesterol levels, egg yolks should be taken more sparingly, selecting egg whites instead. For diabetes patients, it has been shown that if one or more eggs are consumed each day, the risk for heart disease increases. According to the Harvard School of Public Health, those suffering from either heart disease or diabetes should limit their intake to at most 3 egg yolks a week. Despite the high cholesterol content, the nutritional benefits from eating eggs appear to outweigh their risks. Nevertheless, it is important to know if you are at risk for conditions such as heart problems or diabetes, so that you are able to limit or control your intake of egg yolks, as necessary.